Agents and Reagents: The Bounty of Mundus is a short tie-in book to Elder Scrolls Online, which came in The Hero's Guides to The Elder Scrolls Online set. 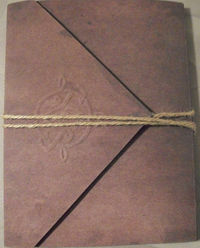 It is the journal of Gargrell Sorick, second apprentice to Defessus Lector, and catalogs potion ingredients used by them. This page was last modified on 18 August 2018, at 03:56.